This bath bomb is a Christmas edition, you can also see this because of the cute prints of stars and trees on the bath bomb. It’s made of clove, ylang ylang (an anti-stress oil, yay!) and a whiff of caramel. The smell is warm, very Christmas / winter - likely. Unfortunately I won’t purchase this one again. However it dissolves very slow, which is a good thing, it’s actually a mess before using it. It’s very veeeeery fragile and it almost falls apart by touching it. I keep all my bath bombs in a glass bowl but I almost have more powder on the bottom than I still had left of the ball. Pity cause I love the smell and the skin care of this one! The yoga bomb looked so innocent to me but the smell was pretty surprising. It’s an incense smell with sandalwood. A special sent, you like it or you don’t. In contrast to my boyfriend I totally love incense scents! They smell so relaxing and warm. Absolutely yes! A sweet and spicy bomb inspired by fireside gatherings with family and friends. What do we need more to be convinced? It almost looks like a little cupcake with the crackles on top of it. It’s made of popping candy with simulating cinnamon leaf oil to recreate the warmth of the hearth. If we use this bath bomb we don’t need a fireplace anymore. I’m sold by this one! Hi sweeties! Today I’ll show you a very delicious review. I’m talking about my Lush bath bomb collection. I always have a few ‘in stock’ and it’s time to present them to you so you can almost smell them from your screen! 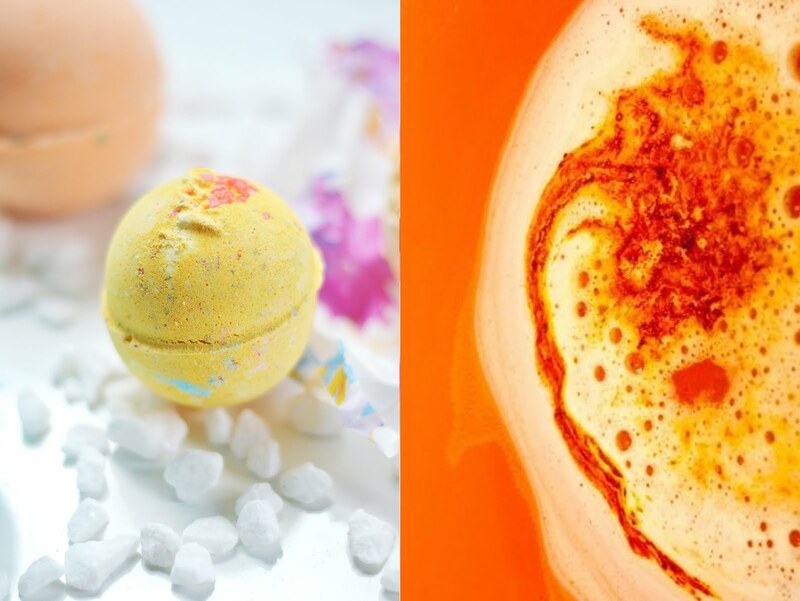 I have a huge crush for Lush products like the soaps and bath bombs. That store is like a candy store to me and yes I even want to eat everything. I never really tried this of course, but you know what I mean right? ;) With all those colors and delicious smells I go crazy every time I visit Lush. 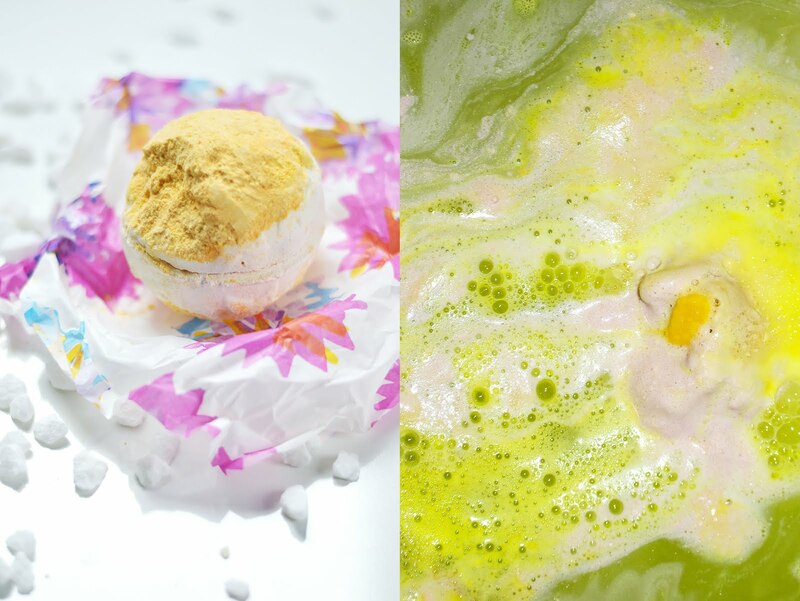 Today I’ll introduce you the Frozen bath bomb, Yog Nog, Yoga bath bomb and the Cinders bomb. 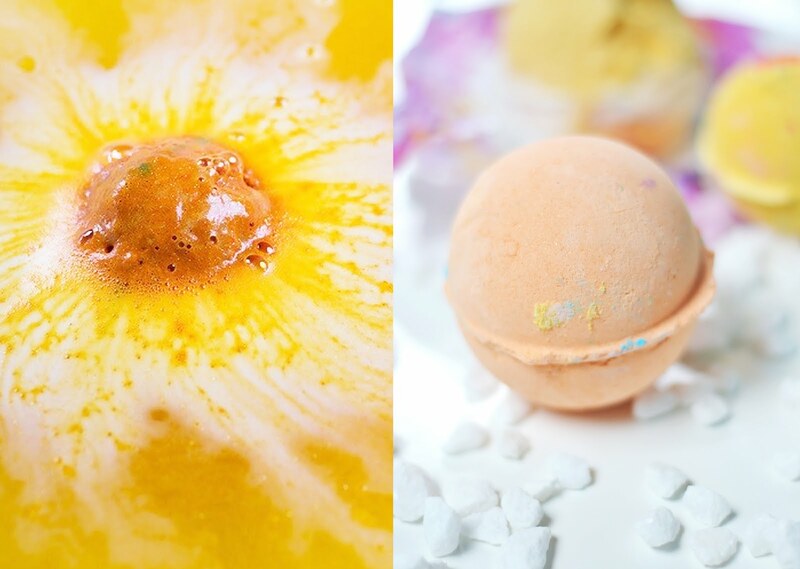 What’s your favorite bath bomb? My favourite has to be Intergalactic. I just love it so much!! Lovely colours, plus it's so nice and glittery once it's done it's thing in the bath! 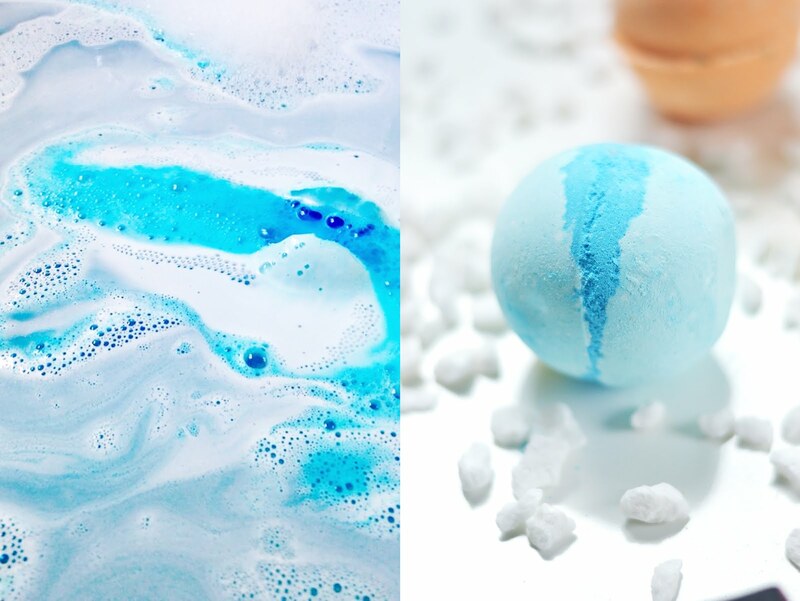 Ik heb wil al zolang iets bij Lush kopen maar vindt het altijd best prijzig. Deze badballen zien er wel super leuk uit. All of them look super cool!